Exclusive interview with Darwin Wiggett, one of Canada’s best landscape and nature photographers. Darwin explains why he loves the Canadian Rockies. A Guide To Depth of Field and hyperfocal scale and distance. 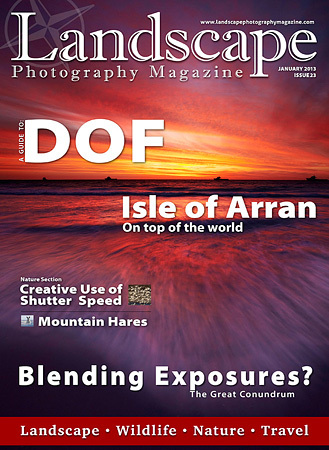 Mark Bauer explains all about Depth of Field, diffraction and hyperfocal distance. Trying to balance entertainment, family matters and photography sometimes can be more than a full time job. However, there is always time for photography. Most people on their travels have more contact with the urban landscape. Keith Wilson stumbles across a grimy backstreet scene in Venice, here is his story. To blend or not to blend, the great conundrum. 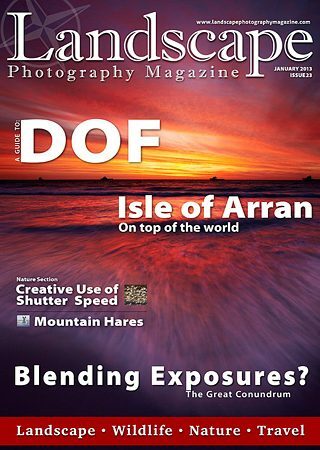 A sensitive subject in landscape photography, exposure blending and the beliefs of some purist photographers. Book Review: Photographing The Elements by Landscape Photography Magazine readers and landscape photographers Joseph Meehan and Gary Eastwood. In this month’s article Boris Mar will make his way through Australia’s Northern Territory, home to some of the best national parks in the world. Photographing nature in harsh conditions can be a nightmare. Simon Watkinson shares some tips on how to dress perfectly in wet and cold conditions.